“The Dirty Heat combines elements of electronic and rock music to create a fun and energetic live atmosphere. 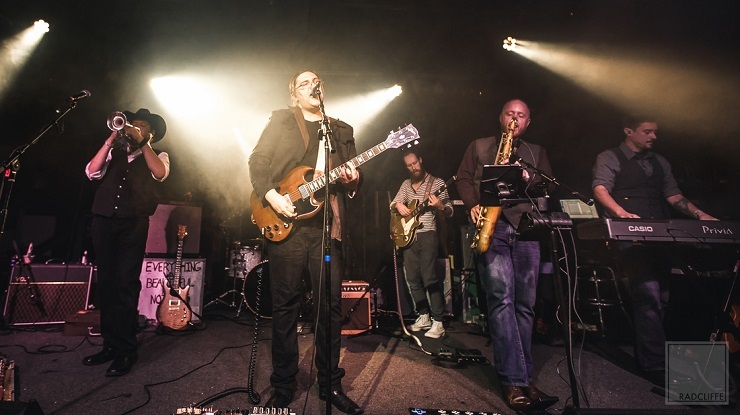 It’s more refreshing than dancing in a sauna but just as sensual.” With funk energy supporting their warm rock sound, the group’s latest single Empty Spaces is a great introduction to the group’s sound aesthetic, reminiscent of early Incubus meets the golden-hour Austin sun. The Dirty Heat began in the summer of 2012 as a few laptop recordings shared between a couple of childhood friends, Andy Hamel and Phil Luna. The band has since grown, with Marcus Morales on guitar, Josh “TurkeyLeg” Chambers on bass, and Thrad Lee on synthesizers and keys. ‘The Invention of Flight’, the band’s debut EP, is a collection of ideas spanning some years which echoes the sentiment – “comfort rarely accompanies progress.” The synth-heavy tracks on this album are a reflection of the desire to break apart from the prevalent sounds of the small town music scene the band experienced before moving to Austin. The Dirty Heat just wrapped up their first international tour promoting their latest release. As a follow-up to their debut, ‘Don’t Walk Home’ was self produced with the help of friends in a make-shift studio. With this total creative freedom the band compiled a very diverse set of songs with a more guitar oriented sound than the first EP. Now, The Dirty Heat have dropped their music video for their single ‘Empty Spaces’. The track was recorded by Frenchie Smith at The Bubble in Austin and released earlier this year.